It is also best to refrigerate the fruit several hours before preparing the fruit smoothie. 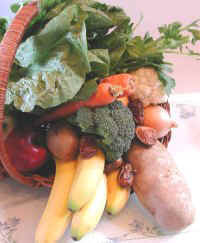 To make the smoothie even colder, the bananas and plantains could be peeled, cut into pieces and frozen ahead of time. Thoroughly wash the apples. Cut into sections. Remove and discard the cores and stems. Place apple sections into the blender. Peel the navel oranges and add the orange sections to the blender. Add the peeled bananas and plantains to the blender. 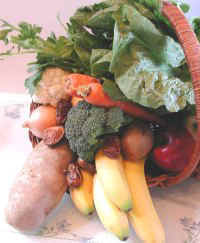 (To learn more about ripe plantains, click on the photo or link.) Wash and peel the carrots, cut into pieces and add to the blender. Add the flax seed. Add the ice. 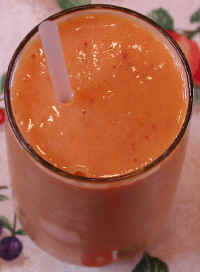 Cover the blender and run it at "high" until the fruit, carrots, and ice are thoroughly blended into the smoothie (about 1-minute).